Though most famous in Europe, Oregon is making a name for itself with this culinary delicacy. Learn the crucial role dogs play in finding the best truffles. Make a list of the most indulgent foods out there, and truffles will likely be near the top. Part of that reputation is due to price. The pungent, misshapen delicacies can sell for as much as $1,000 per pound, but their rarity and unique taste are what allow them to command such a fee. Truffles are full of the savory flavor profile known as umami. These flavors are complex and can evolve, much like wine. The best-known truffles are Périgord and Alba, native to France and Italy, respectively. 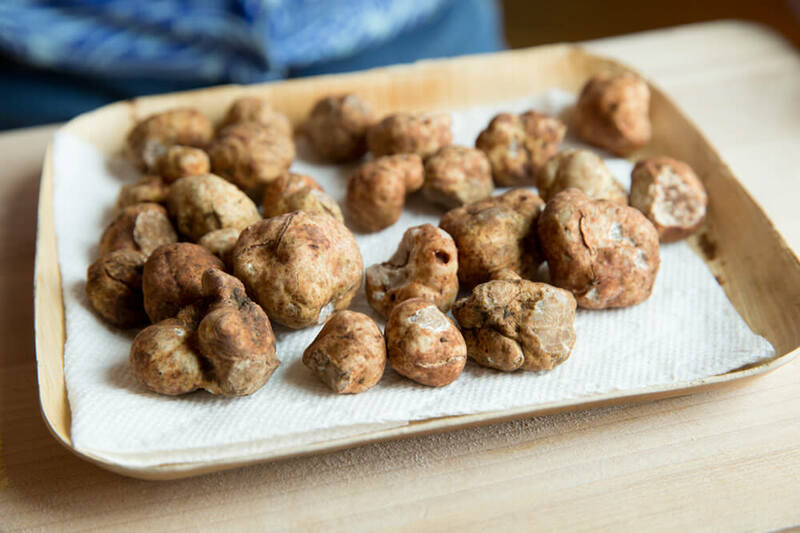 But other regions less associated with the delicacy have begun harvesting their own truffles, and are worth seeking out in part because they’re often less expensive than their European counterparts. Read entire piece, with a focus on wine pairings, by Sophia McDonald Bennett of Wine Enthusiast.